Body Image and Anxiety negatively affecting summer joy? How’s your mental health this summer? For many, thoughts of the summer and the summer itself, brings smiling faces. For others, summer time is filled with anxiety, emotional discomfort and feelings of sadness. 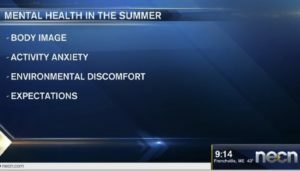 During my bi-weekly regular mental health segment on NECN with Joy Lim Nakrin, this week’s topic: Summer Mental Health I address 4 top reasons why there are those who struggle emotionally during the summer months. 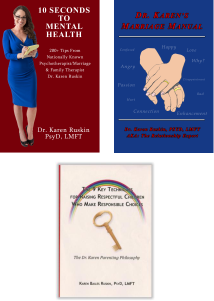 Additionally, I provide 4 tips to help make your summer be an emotionally healthy one. You are invited to view this segment, and all of my segments on demand, if you miss them live-on-air.